The third extension of SosBud (Sosial Budaya) visa is pretty easy, just like the first one you apply but this time the Kanim must send your application to KanWil so gonna take a bit longer than the first one and the second. 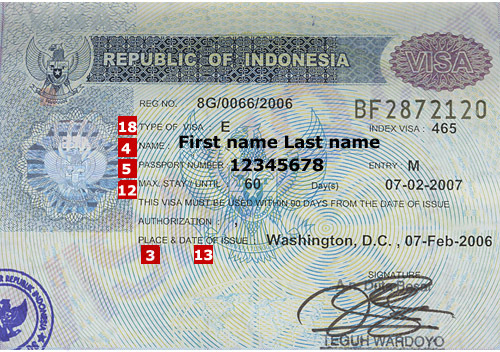 I apply today in Immigration of South Jakarta and met a woman who was in the same purpose with me - applying the third visa extension. Different immigration might have different result on your application and to be honest I don't know why. People usually tell different story for the same purpose. My advise is try not to take the whole story as it will confuse you. Make the copy two for each document (I did this to make it easy the staff immigration). The third extension need to be sent to KanWil so make sure you have everything they need! Go by yourself and get the information directly from the immigration office. You might heard negative story about whatever in immigration, again, don't take the whole thing as it sometimes make you lost. I usually bring everything I need and hand it straight away to the staff without asking bla bla and it works, they don't ask me any question. Everything go well. Don't forget to smile, be friendly with the staff. I like all the staff in South Jakarta in Mampang Prapatan, they are not just friendly but also very patient.